James Shanes admits that Tigers must produce a “strong” end to the season for the fans. The pocket rocket reserve has been one of the success stories in a difficult campaign for the defending league champions. 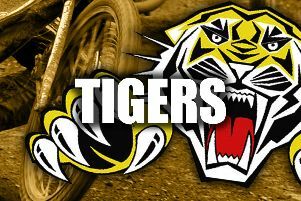 Any hopes of retaining the Championship title they won so emphatically last October have disappeared and Tigers’ last home league meeting is against Edinburgh this Thursday at Owlerton. But Shanes hopes they can finish on a high. He said: “It hasn’t gone the way we hoped, that’s fairly obvious. We were going pretty good until the last month. “No one can really explain what has gone wrong. Changes were made bringing in Broc Nicol and we looked solid. “But for some reason after losing at home to Lakeside it’s all gone to pieces. Our confidence has got lower every week. “Personally it’s been very difficult to deal with. I’d struggled psychologically dealing with losing my place at Poole earlier in the season. 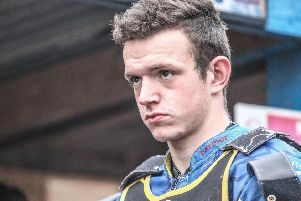 Sheffield will do well to stop their losing run extending to five successive home meetings against Edinburgh, the in-form team in the Championship. Shanes and Kasper Andersen were excellent in the 54-36 defeat at Armadale on Friday night but the Dorchester dynamo knows it will be tough on Thursday night. He added: “Edinburgh are very solid and look one of the title favourites. They don’t really have a weak link. “But there’s no doubt we have a lot of spirit, the feeling is good in the camp. Team boss Simon Stead is a great bloke to have about and he’s working so hard on all of us individually to help with confidence.